Often I find that people are confused by what is meant by an “independent feature film” as opposed to any other film you might see at a theatre. A true independent film is one that has been entirely produced outside of the Hollywood studio system. 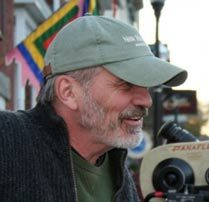 It has no studio financing, no studio control over artistic elements or personnel, including the final cut of the film, and, in most cases, no guarantee of distribution. It is conceived of, financed, and made by a group of people who have a collective passion for the story they want to tell and an almost obsessive determination to get their movie completed and into the marketplace so it can be experienced by the public they’re convinced is going to embrace it with open arms.